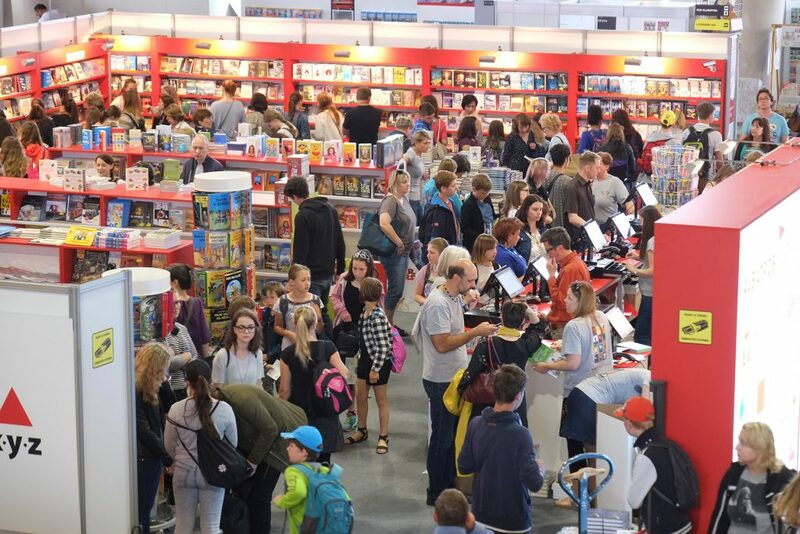 The Book World Prague international book fair and literary festival is celebrating a jubilee year. Between 9th and 12th May, it will again welcome supporters of literature to the Prague Holešovice Exhibition Grounds, where for the 25th time it will familiarize them with works and authors from many countries, including the Czech Republic. This year’s main theme is Memory and Reminiscence. The colour and variety of Latin America, guest of honour at the fair, is reflected in the visuals chosen for this year’s jubilee event. Book World Prague has plenty to look back on from its first 25 years. So, it is apt that the main theme of this year’s fair should be Memory and Reminiscence, albeit in the widest sense. “Memoir literature, oral history, our relation to history in general, and how it is forgotten, then brought back to mind…” Director of Book World Prague Radovan Auer lists ways in which memory and reminiscence impress themselves upon us. A great inspiration behind the choice of this year’s main theme was guest of honour Latin America, whose presence will be highly visible at the fair. “Authors from this region often take memory and reminiscence as a theme for their work,” explains Radovan Auer. The variety of the 25th Book World Prague fair is reflected in its visuals, too. These are again the work of renowned graphic artist and illustrator Pavel Fuksa, whose main aim was to capture the range of colours characteristic of Latin America. In the visuals, the national colours of individual states feature in the line drawn by the fountain pen, a motif that represents the origination of a work of literature. Tickets for the 25th Book World Prague international book fair and literary festival will be available for purchase from March. Last year’s event attracted 46,000 visitors. “To improve convenience for our visitors, especially organizers of large groups and school groups, we are this year introducing a reservation system for individual programmes,” adds Auer. This project is run by Svět Knihy (Czech Republic).